A royal charter is a formal document issued by a monarch as letters patent, granting a right or power to an individual or a body corporate. They were, and are still, used to establish significant organisations such as cities (with municipal charters) or universities and learned societies. Charters should be distinguished from warrants and letters of appointment, as they have perpetual effect. Typically, a Royal Charter is produced as a high-quality work of calligraphy on vellum. The British monarchy has issued over 980 royal charters. Of these about 750 remain in existence. The earliest was to the town of Tain in 1066, making it the oldest Royal Burgh in Scotland, followed by the University of Cambridge in 1231. Charters continue to be issued by the British Crown, a recent example being that awarded to the Chartered Institute for the Management of Sport and Physical Activity, on 7 April 2011. Charters have been used in Europe since medieval times to create cities (that is, localities with recognised legal rights and privileges). The date that such a charter is granted is considered to be when a city is 'founded', regardless of when the locality originally began to be settled (which is often impossible to determine). 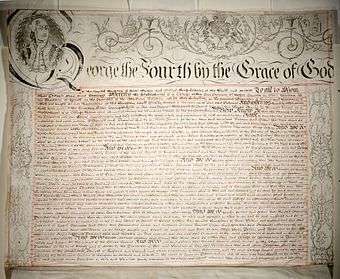 At one time, a royal charter was the sole means by which an incorporated body could be formed, but other means (such as the registration process for limited companies) are generally used nowadays instead. Among the past and present groups formed by royal charter are the Company of Merchants of the Staple of England (13th Century), the British East India Company (1600), the Hudson's Bay Company, Standard Chartered, the Peninsular and Oriental Steam Navigation Company (P&O), the British South Africa Company, and some of the former British colonies on the North American mainland, City livery companies, the Bank of England and the British Broadcasting Corporation (BBC). A Royal Charter is granted by Order in Council, either creating an incorporated body, or giving an existent one special status. This is an exercise of the Royal Prerogative, and, in Canada, there are hundreds of organisations under Royal Charters. Such organisations include charities, businesses, colleges, universities, and cities. Today, it is mostly charities and professional institutions who receive Royal Charters. Application for a charter is a petition to the Queen-in-Council. To receive a Royal Charter, the organisation must have corporate members who have at least first degree level in a relevant field, consist of 5,000 members or more, be financially sound, and it must be in the public interest to regulate the institution under a charter. However, meeting these benchmarks does not guarantee the issuance of a Royal Charter. The Canada Company incorporated by Act of Parliament in June 1825. Royal Charter was issued in August 1826 to purchase and develop lands. Purchased the Crown Reserve of 1,384,413 acres and a special grant of 1,100,000 acres in the Huron County area. The Royal College of Physicians and Surgeons of Canada (Royal College), French: Collège royal des médecins et chirurgiens du Canada, is a national, nonprofit organisation organization established in 1929 by a special Act of Parliament to oversee the medical education of specialists in Canada. A number of Canadian universities and colleges were founded or reconstituted under Royal Charter. University of New Brunswick, founded in 1785 as the Academy of Liberal Arts and Sciences, received a provincial charter in 1800, and Royal Charter in 1827. Victoria University founded by Royal Charter issued on 12 October 1836 by Queen Victoria, federated with the University of Toronto in 1890. University of Ottawa; granted a Royal Charter in 1866 by Queen Victoria, eighteen years after its founding. The University's Pontifical Charter was granted by Pope Leo XIII in 1889. The Royal Gibraltar Police was granted Royal Charter in 1992. The Royal Gibraltar Post Office was granted Royal Charter in 2005. The Royal Hong Kong Police Force was granted Royal Charter in 1969 by Queen Elizabeth II, now Hong Kong Police Force (since 1997). The Royal Hong Kong Jockey Club obtained Royal Charter in 1959, now Hong Kong Jockey Club (since 1996). The Standard Chartered Bank was granted Royal Charter in 1853. It is one of the three banknote-issuing banks in Hong Kong. The Royal Asiatic Society Hong Kong Branch Chartered originally in 1847, disbanded 1859, reorganised 1959. A number of Irish institutions retain the "Royal" prefix, even though Republic of Ireland severed all remaining connections between the state and the British monarch in 1949. The British Institute of Florence was granted a Royal Charter in 1923. The University of South Africa received a Royal Charter in 1877. The Natal Carbineers regiment received a Royal Charter in 1935, becoming known as the Royal Natal Carbineers until South Africa became a republic in 1961. The Royal Natal National Park's name remained unchanged, as did that of the Royal Society of South Africa, which received its Royal Charter in 1908. Among the 750 or so organisations with Royal Charters are cities; the Bank of England; the BBC; theatres such as the Royal Opera House and the Theatre Royal, Drury Lane; Livery Companies; universities (mostly those founded before 1993) and learned societies; professional institutions, such as the Institution of Royal Engineers and charities. A Royal Charter is the mechanism by which a British town is raised to the status of city. Most recently Chelmsford in Essex was granted a Royal Charter in celebration of Queen Elizabeth II's Diamond Jubilee in 2012. Inverness, Brighton & Hove and Wolverhampton were given their charters to celebrate the Millennium, and Preston, Stirling, Newport, Lisburn and Newry to celebrate the Golden Jubilee of Elizabeth II in 2002. Most British universities operate under Royal Charters, giving them the authority to award degrees. The most recent generation of UK universities were granted the power to award degrees by the Further and Higher Education Act 1992 instead of by Royal Charter, while some other universities operate under Acts of Parliament. The University of Buckingham, The University of Law and Malvern College are the only private education institutions to have received a Royal Charter. Almost without exception, the longstanding learned societies, such as the Royal Society, Royal Society of Literature, etc. have Royal Charters. Most new grants of Royal Charters these days are reserved for eminent professional institutions, learned societies, or charities, who have a solid record of achievement and are financially stable. Though a royal charter is not necessary for them to incorporate or operate, it is often sought as recognition of "pre-eminence, stability and permanence" in representing their field of activity. For example, the six accountancy institutes which make up the Consultative Committee of Accountancy Bodies each have a Royal Charter which allows their qualified members to style themselves Chartered Accountants. A Royal Charter changes a body from a collection of individuals into a single legal entity. Once incorporated by Royal Charter, amendments to the Charter and by-laws require government approval. In January 2007, the UK Trade Marks Registry refused to grant protection to the American Chartered Financial Analyst trademark, as the word "chartered" in the UK is associated with royal charters. A list of UK chartered professional associations can be found here. Although several American universities which predate the American Revolution purport to hold royal charters, in a number of cases they were in fact created by a grant from a local council such as a colonial legislature. Dartmouth College 1769 – by Letters Patent from King George III via the Governor of the province of New Hampshire. The distinction between the Letters Patent forming Dartmouth, Princeton, and Rutgers versus those documents founding William & Mary or King's College (Columbia University) is that the seal of the Province of New Hampshire appears on Dartmouth College's charter and that the seal of the Province of New Jersey appears on Princeton University's and Rutgers University's charters while the Great Seal of the Realm appears on the College of William and Mary|William & Mary and King's College documents. ↑ Chartered bodies | Privy Council. Privycouncil.independent.gov.uk. Retrieved 2 May 2012. ↑ BBC Trust | Charter and Agreement. ↑ Gilbert Van Vaek and Henk Van Daele Archived 23 July 2008 at the Wayback Machine. ↑ Belgium Royal Historical Commission Archived 13 February 2009 at the Wayback Machine. ↑ When is an institution considered a recognised higher education institution or a university? 1 2 3 4 Handbook of Upper Canadian Chronology: Revised Edition By Frederick H. Armstrong 1841. Retrieved 28 July 2014. ↑ "The Canadian Encyclopedia: Literary and Historical Society of Quebec". Retrieved 11 December 2014. ↑ New Brunswick; reprint of: Kurley, Daniel; Times Globe: Elusive Oak; 11 June 1998. New-brunswick.net. Retrieved 2 May 2012. ↑ Royal Astronomical Society of Canada: Going Royal: A History of Public Service. Rasc.ca. Retrieved 2 May 2012. 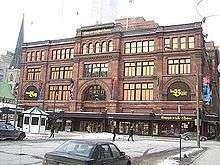 ↑ Royal Conservatory of Music: The RCM: History of The Royal Conservatory of Music. Rcmusic.ca. Retrieved 2 May 2012. ↑ Canada Council for the Arts: Royal Winnipeg Ballet. Canadacouncil.ca (27 March 2004). Retrieved 2 May 2012. ↑ The Royal Life Saving Society of Canada Saskatchewan Branch, Inc.; Constitution Archived 24 June 2008 at the Wayback Machine. ↑ Royal Hamilton College of Music. The Canadian Encyclopedia. Retrieved 2 May 2012. ↑ Royal Western Nova Scotia Yacht Club: Annapolis Basin Archived 18 April 2009 at the Wayback Machine. ↑ The Royal Heraldry Society of Canada: Ottawa, Ontario. Heraldry.ca. Retrieved 2 May 2012. 1 2 "Corporate Collections > Reference > The Charter". Hudson's Bay Company. Retrieved 14 June 2007. ↑ The Royal Commonwealth Society: Values of the Royal Commonwealth Society. Rcs.ca (4 January 2007). Retrieved 2 May 2012. ↑ Royal Academy of Dance Canada: About us. Radcanada.org. Retrieved 2 May 2012. ↑ Canada4Life; Nova Scotia. Canada4life.ca. Retrieved 2 May 2012. ↑ Canada's Cities: Unleash our Potential. Canadascities.ca (1 September 2001). Retrieved 2 May 2012. ↑ "Our History | UNB". www.unb.ca. Retrieved 2016-10-01. ↑ Trinity College: About Trinity: History. Trinity.utoronto.ca (13 March 2005). Retrieved 2 May 2012. ↑ Colleges. Utoronto.ca (29 March 2010). Retrieved 2 May 2012. ↑ Queen's University: Queen's University Royal Charter Archived 6 June 2011 at the Wayback Machine. ↑ Le Bas Canada 1763–1867. Republiquelibre.org. Retrieved 2 May 2012. ↑ "About the History of the University of Ottawa". University of Ottawa Archives. Retrieved 30 April 2008. 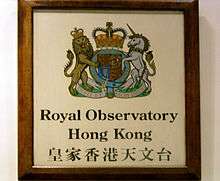 ↑ History of the Hong Kong Observatory. Hko.gov.hk. Retrieved 2 May 2012. ↑ Text of letters patent (royal charter) of incorporation, dated 9 September 1935. Retrieved 8 July 2011. ↑ Brief history of the British Institute of Florence Retrieved 13 March 2013. 1 2 3 Privy Council Office – Chartered Bodies. Privycouncil.independent.gov.uk. Retrieved 2 May 2012. ↑ BPP University College appears on the Department for Business, Innovation and Skills List of Recognised Bodies (those institutions or bodies, including universities, which have their own UK degree awarding powers (see BIS Recognised Bodies) but does not appear among the 987 bodies listed on the Privy Council's website as holders of Royal Charters (see Privy Council Office – Chartered Bodies).